Poker is about making money, but you are also resigning yourself to the reality that the poker rooms are making money too. Rake is how they make money — it’s a small fee taken out of every single pot. This is usually 5%. Now, at micro stakes, this isn’t too bad. But if you’re starting to play bigger stakes, then the rake can be quite a bit. Of course, players don’t like losing money if they can help it. That’s why the poker rooms have come up with rakeback. It’s a cash refund of the rake, and you can get part of the rake back. Rake is calculated in two different ways: shared and contributed. The shared method is easy: it’s the rake divided evenly by all players that were dealt cards. So if there’s 10 players sitting at the table and the total rake is $1, then each player has 10 cents of rake. Again, this isn’t much but it can add up over time, depending on how often you play and how many pots you’re getting involved in. The contributed method is where players contribute money to the pot to get assigned rake. So in this case, the rake a player gets credit with is related directly to the amount of their contribution. So if you throw $50 into a pot of $150 and the total rake is $3, you are assigned a $1 rake. 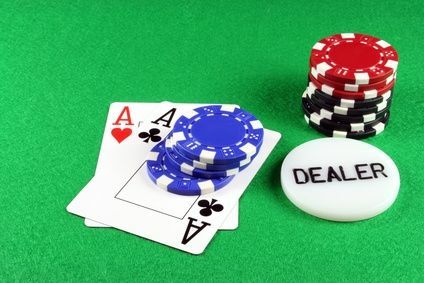 Getting rakeback is pretty straightforward — all you really need to do is select a poker room with a rakeback offer. You download it through a separate site called Rakeback.com and they handle the rest. Claiming back money here and there can add up to a better bankroll than what you might have been expecting. Why not check it out today, while it’s still on your mind? Good luck!